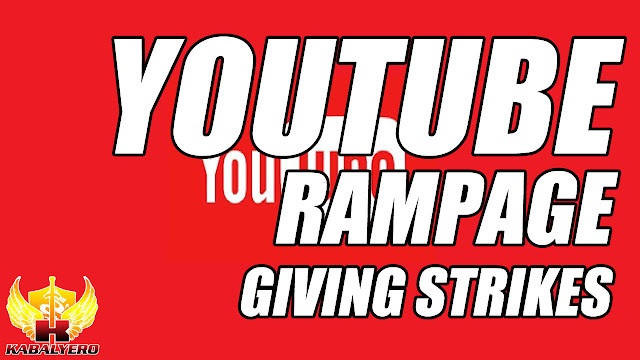 YouTube is on a Strike giving rampage again. In a span of just a few hours, YouTube deleted four of my videos and gave me two Community Strikes. The videos YouTube took down were just like this one, me talking about something like a game or a topic of interest. They were basically just videos of me talking. Did I violate any of the Community Guidelines? Of course NOT! All my videos are clean and family friendly. I don't curse and I also don't use foul language in any of my videos. Hundreds of Pirated Movies, Television Shows and Stolen Videos are uploaded to YouTube every hour but, instead of dealing with the real problems, YouTube decided to grief poor old me. This process of punishing first is a terrible process because, more often than not, those affected and are punished first are small youtubers just because they are small and can't really fight back. 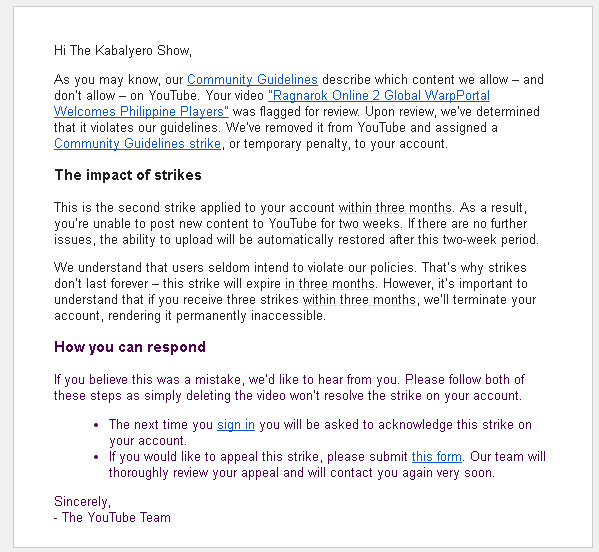 Anyway, I've appealed the Strikes and I'm hoping that someone in YouTube will review the appeal and remove the Strikes from my YouTube channel. So guys, what are your thoughts about YouTube's unfair process affecting small youtubers? Post your answers, comments, questions or reactions in the comments section below.